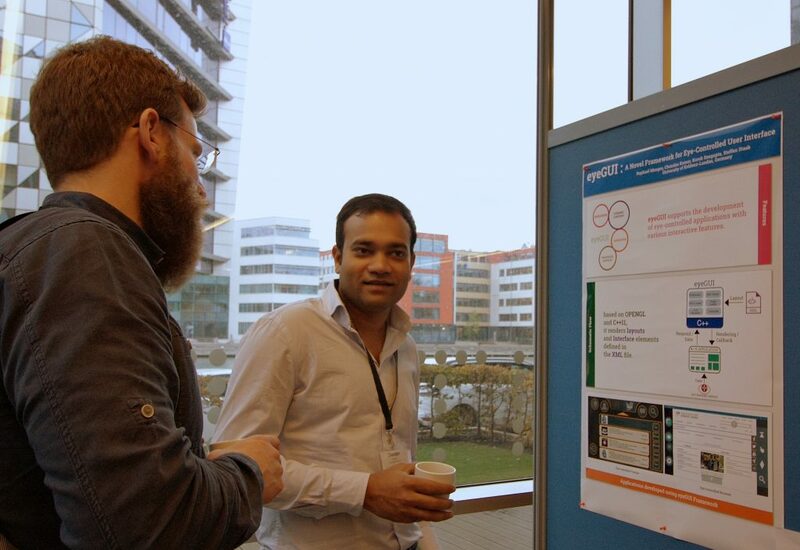 Chandan Kumar from University of Koblenz, presented “eyeGUI: A Novel Framework for Eye-Controlled User Interfaces” at the NordiCHI 2016 conference in Gothenburg. The eyeGUI framework supports the development of interactive eye-controlled applications with many significant aspects, like rendering, layout, dynamic modification of content, support of graphics and animation. The framework was exhibited as a poster presentation and live demonstration of MAMEM applications which encompasses eyeGUI library for interface design.